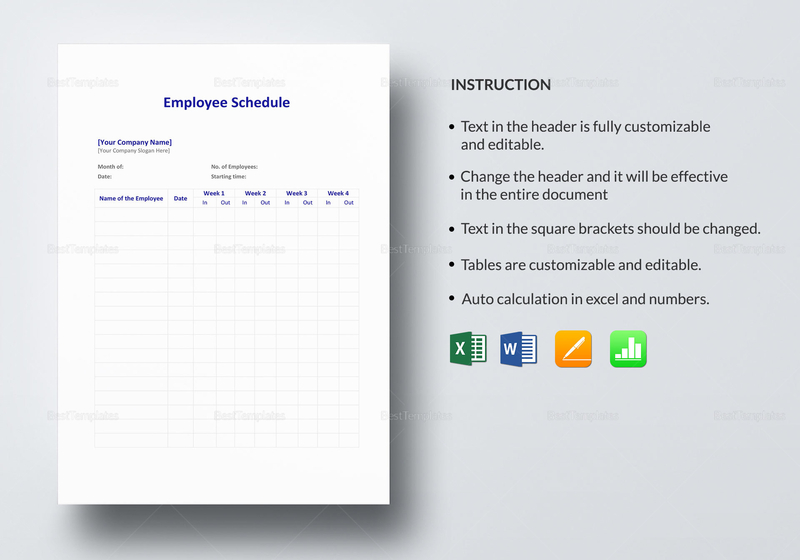 Learn to organize employee schedules with the help of this customizable schedule template. 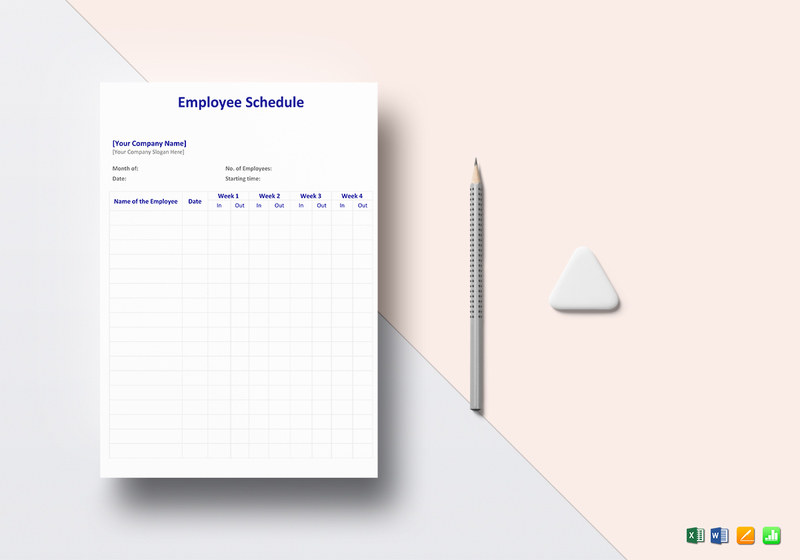 Simple but effective in organizing work schedules, you never have to worry about over working or underworking your employees ever again. 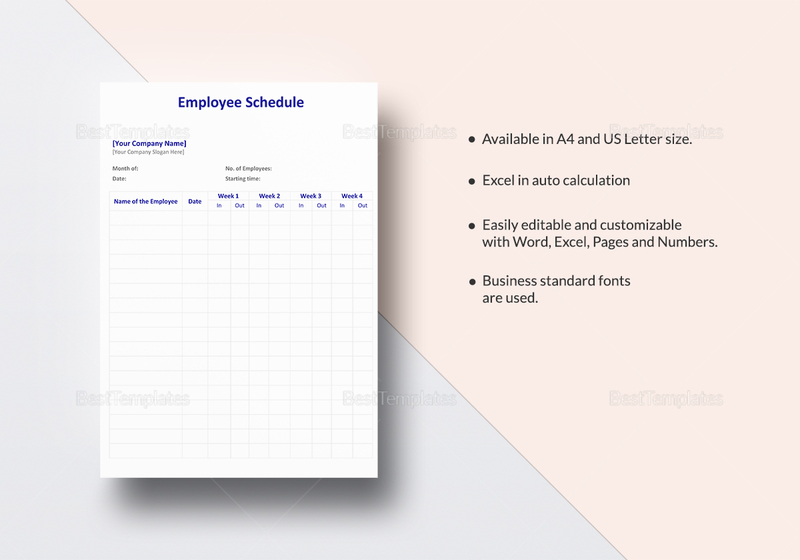 Download, customize, print, or share digitally for a more effective way of communicating at the workplace.